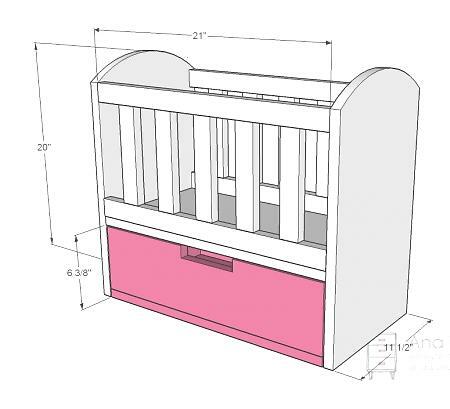 It's Written on the Wall: What a Darling Baby Doll Crib-You Can Make It! 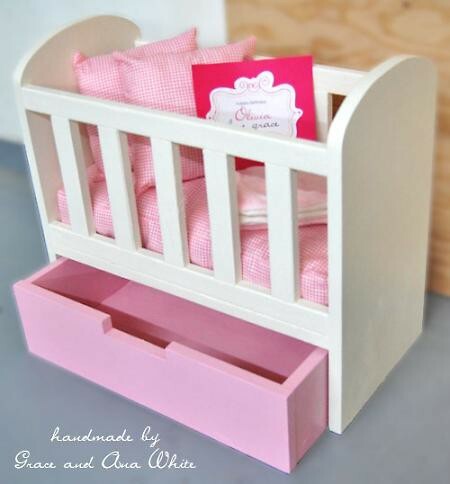 What a Darling Baby Doll Crib-You Can Make It! Isn't this a cute baby doll crib? Want to know how to make it? All the directions, and I mean ALL the directions are shown Here at Ana White This doll crib is designed for 18" dolls. Features a bottom drawer.